The spirit of the holidays can often be forgotten in the end-of-season rush, and on campus it’s no different. 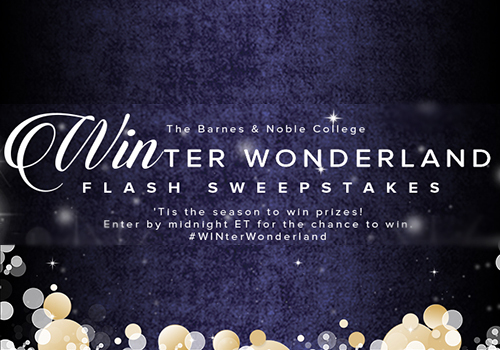 As students wind up their semesters accompanied by the anxiety of everything from final exams to the flu season, Barnes & Noble College has found a way to help their customers with their holiday shopping list, and to also try to evoke a little festive spirit. Just in time for the holidays, the local campus bookstore has rolled out a ‘Bring on the Cheer’ program as the perfect antidote to the stresses of the season. 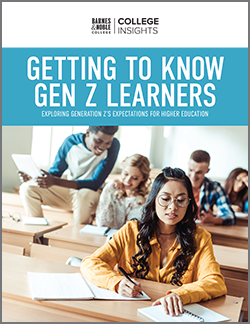 The program has been designed with something for everyone on the gift-giving list, as Carol Alves, Consumer Marketing Project Manager for Barnes & Noble College explains. “It’s an opportunity for us to provide money-saving offers, alongside holiday events and sweepstakes, for all of our customers — whether they’re sports fans, alumni or students on a budget,” she says. 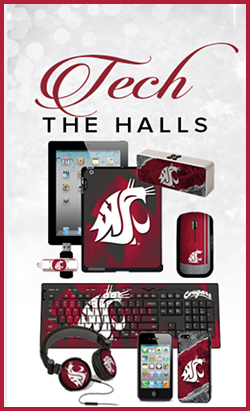 Washington State University bookstore, The Bookie, curates gift ideas sold in-store and online that are perfect for the holidays. Although the programs are being supported at the campus stores with displays and pop-up installations, a lot of the holiday savings can be found online, grouped into easy to search categories such as gifts for him, her, or the little ones, gifts under $25 or technology or collegiate apparel. Reflecting the power of local, there is a specific flavor to many of the holiday offerings. The essential gift for Mississippi State, for example, is their famous cowbell. And what says the holidays better than Cougar Cheese in a can? 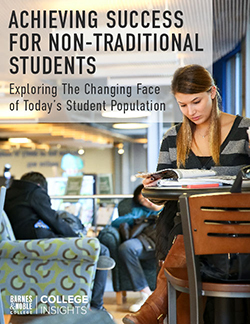 For Washington State students past and present, this is a favorite, must-have stocking stuffer. There are also some impressive savings opportunities for those who find themselves on The Nice List. “The Nice List is another opportunity for us to really engage with our most loyal customers and extend a thank you to those who opt in to this special holiday email program,” says Alves. The Nice List enables shoppers to receive free shipping, 25 percent off of apparel items, and 20 percent off of gift items. And it’s a big list, with over 40,000 subscribers registered in the program. While the savings online are considerable, Alves says the program is still centered on the campus bookstore with opportunities to participate in the spirit of the holidays. Under the banner of ‘De-Stress Fest,’ individual campus stores are offering some fast-selling ‘ugly holiday sweaters,’ a variety of contests, movie nights, photo booth fun, and snack and beverage treats and promotions, so there are many reasons to be cheerful this holiday season.